1 Where do mosquitoes live: in water or on land? 2 How do mosquitoes survive during freezing and drought seasons? 5 How long do mosquitoes live? Mosquitoes are multivoltine. It means that they are insects, which have more than two broods per season or year. Mosquito species that habit in tropical areas with little seasonality are highly multivoltine. Feeding on constantly growing vegetation faciliates mosquito life cycle of more than two generations per year. Where do mosquitoes live: in water or on land? A female mosquito is multivoltine and produces a few thousand offspring in her short lifespan. It lays eggs in standing water, including gutters, small puddles in gardens, yards, planters, buckets, and the like. In fact, ovipostion can occur in natural reservoirs of salt water or fresh water as well. All Psorophora and some Aedes mosquito species lay eggs on soil where they remain unhatched, until flooded or rain runoff occurs. Some species use cavities and excavations in plants for this purpose. Mosquito larvae are able to drill into the plant for air. 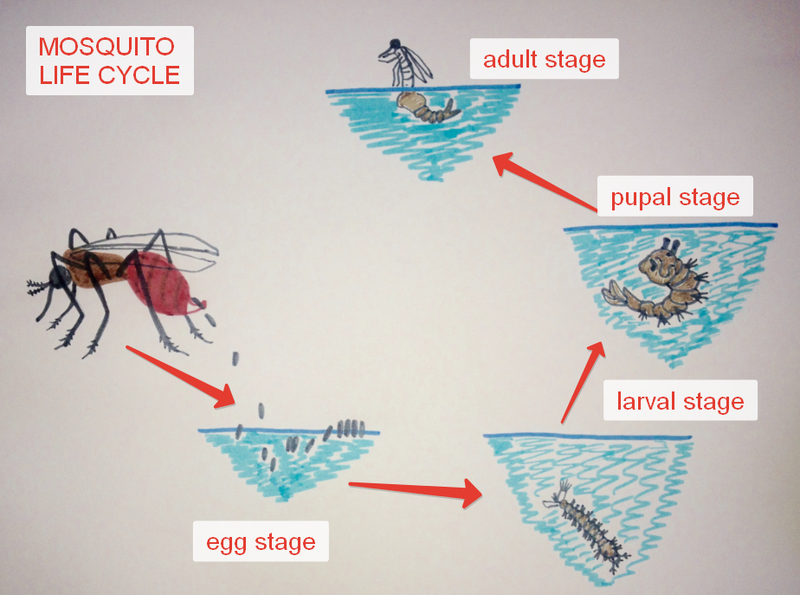 Immature mosquitoes in their egg, larval, and pupal stages, are aquatic, they develop only in water conditions. How do mosquitoes survive during freezing and drought seasons? The duration of each stage is specific for various species, depending on the mosquito species and the ambient temperature. Eggs are left on the surface of stagnant water for hatching into larva within a few hours of laying. Oviposition on the surface of calm water is most common. Some mosquito species, as have already mentioned above, lay eggs on soil where they remain unhatched, until flooded. Mosquito larva is a bottom-dwelling organism. It has a head with compound eyes and antennae, thorax, and abdomen. It takes from four days to two weeks for larva to hatch into pupa. Mosquito larvae can pierce underwater plants to take oxygen. They also have posterior siphons for breathing and breaking the water surface in order to take in air. Due to the siphon, they can be distinguished from larvae of other subfamilies. Mosquito larvae are sensitive to the conditions (light, temperature, and many others) of the water in which they live. They also depend on aquatic vegetation to hide from predators. Mosquito pupa is aquatic and must come to the surface of the water for air intake. It doesn’t feed. Pupation lasts from one day to several weeks. Then pupae become mosquito adults. Males emerge from the pupal stage earlier than females. Mature mosquitoes leave the water by flight to find plants or vertebrates on which to feed. Males feed on plant fluids: sap and nectar, females – on blood of people and animals before oviposition. They are about equal in proportions. Females mate only once, then store sperm to use over their lifetime. In fact, egg, larval and pupal stages last 5 to 14 days in average. Duration of mosquito life cycle is from 5 to 40 days and depends on the species of mosquitoes and the sufficient temperature, but there are important exceptions. Mosquito life cycle repeats itself until the female dies. Females are able to live longer than a month in captivity, though, in nature they live about 1-2 weeks. 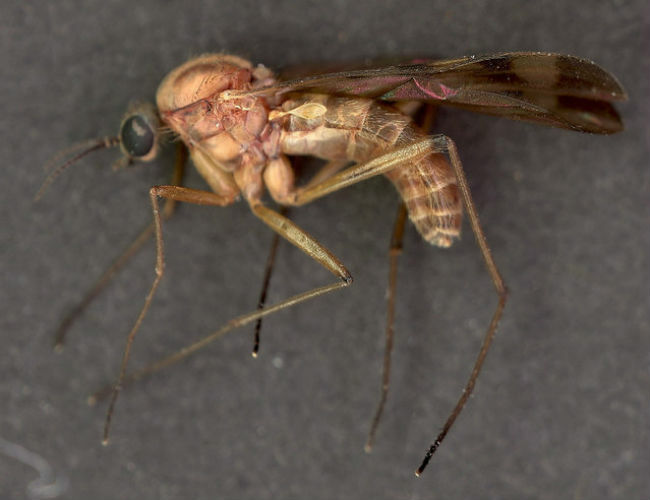 Mosquito male, as a rule, dies in 5-7 days after emerging from the pupa. Mosquito lifespans depend on ambient conditions, such as humidity, temperature, availability of blood meal and avoidance of host defenses and predators.